January | 2010 | Ipoh Mali Talak Sombong! *There were some errors on the post previously and they have been updated. Sorry for the inconvenience! I have not experienced four seasons climate before but the recent trip to HK gave me the opportunity to experience “mild winter” (why mild and not just winter? ‘Cos there’s no snow!) With temperatures in between 10 – 16 degrees Celscius, it was fun and pleasant to walk around. As we took the late flight at 4pm+, by the time we arrived at the hotel in Pak Kok (North Point, HK Island), it was near to 10pm. With such cooling weather, we ventured out nearby to see a char chan teng (coffeeshop) still open for business. We settled ourselves with wantan mee, beef noodles and vegetables. There’s no picture on these as the food were just mediocre. Although the wantan came in big pieces, the noodles were bland. The vegetables were heavily doused with oyster sauce and oil… which I suspect was lard. With our tummy filled with the disappointing “first taste of HK”, we walked further and saw Hui Lau Shan, a popular dessert chain similar like our KTZ (just that HLS has more branches). The desserts saved our night (that would be in another post). 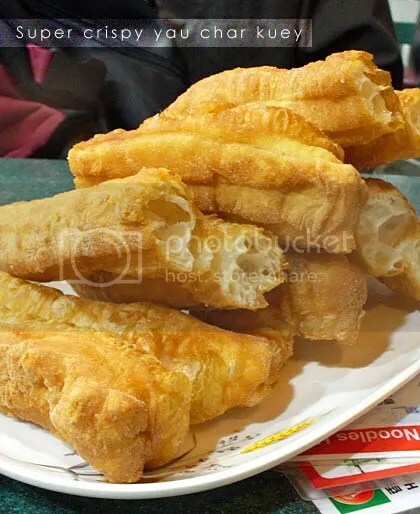 The next morning, CK insisted he wants to have yau char kuey (fried dough) and Patrick suggested that we look for that in Wan Chai. 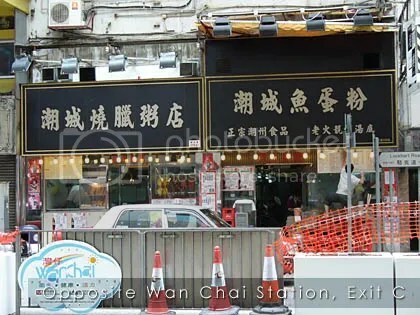 We walked for about 25 minutes around the area near to the MTR before we passed by a coffeeshop selling that. By that time, our stomachs were growling in hungers. We enjoyed the YCK very much, not because we were hungry, but because they tastes nothing similar to our local ones. Theirs were super crispy, not very chewy and not greasy. And it costs us HKD3.00 (equivalent to RM1.50) per piece. And nothing beats having a steamy bowl of porridge for breakfast in the chilly weather. 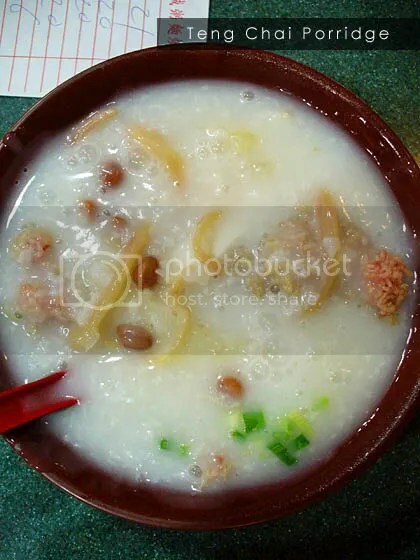 I personally doesn’t really like porridge but their Teng Chai porridge changed my mindset. It came laden with fish cakes, cuttlefish, peanuts, minced pork (the pinkish thing on the far right, sorta fried together with crushed rice vermicelli to give a crispy texture and unique taste) and scallions. The consistency of the porridge was just right, not too watery and not too mushy. The aunties who manned the shop were quite friendly too. CK and I loved the place so much, we went there again the next day on our own. Direct opposite the Wan Chai MTR Station, Exit C.
Happy New Year! It might be late, but better than never. By the way, Ipoh Mali Talak Sombong officially turns 3 on Boxing Day, hence the new appearance. Just a stone throw away from where I’m staying, there was this place opened few months ago with bright orange signboard. If it’s not introduced by another blogger friend of mine, I wouldn’t know about it as I rarely pass by the area. They put up a banner stating that they serve char siew and Taipu Hakka noodles, amongst other stuff. They opens early but char siew is only available around 10.30am. I personally has been here twice and I strongly recommends that you go for their Hakka noodles and a single portion of the char siew, instead of the char siew rice. The Hakka noodles, topped with chopped spring onions, minced pork and some fried bits which they claimed to be fish skin. The noodles were pretty good; flavourful and al dente. Don’t forget to eat it with their homemade chilli paste. 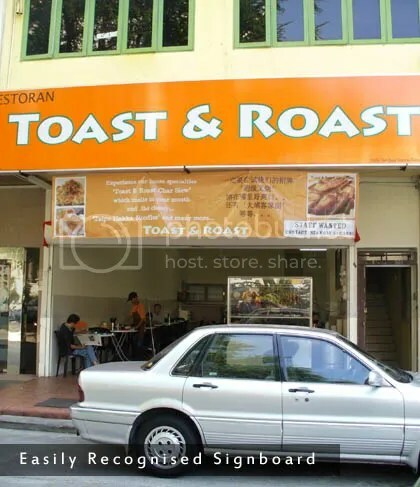 A single portion of char siew costs RM6 here. From my observation, they do not roast their char siew in one long, big strip of pork loin. Instead, they were prepared in short, multiple strips, about half the length of an adult’s palm. Go for half lean, half fat for the best experience. 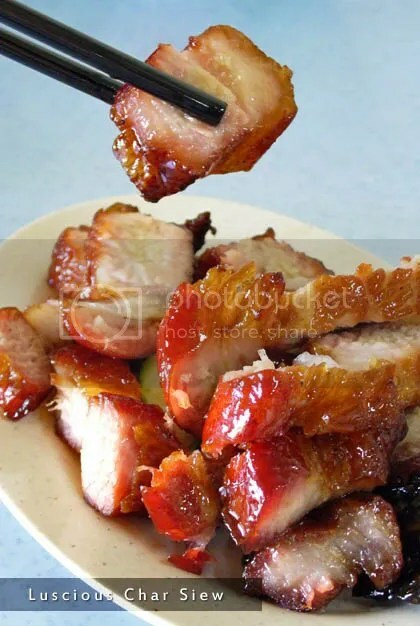 Also, I find the caramelised skin would turn hard and chewy when it’s cold, so it would be best if you could go early, say around 11am when the char siew were freshly out from the oven.